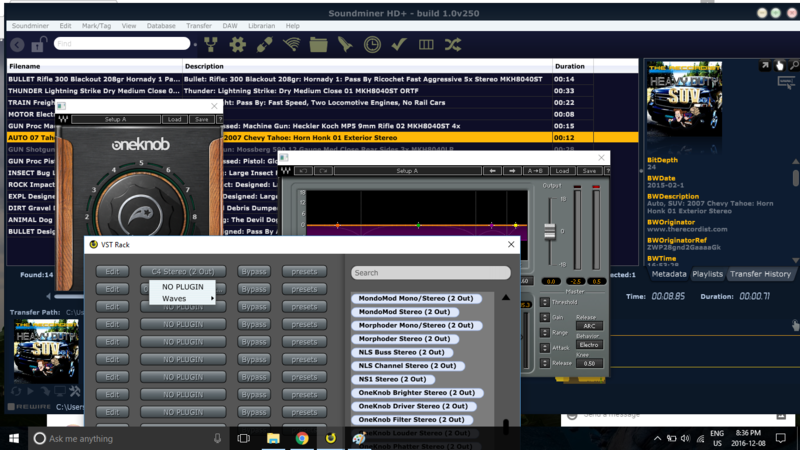 Soundminer has long been recognized for its work on the Macintosh platform and many pro Windows users have asked for a 'pro' version for their preferred platform.....well, it's here and it can be added to HDplus MAC, Windows or Universal licenses. The ProPack is a collection of specifically designed features for the professional sound designer that parallels our v4.5pro product for Macintosh: Multi-channel leg picking, higher sample rates, our reknowned VSTRack, metadata workflows, V4.5 waveform controls, and more. The ProPack is available now as an add-on to any HDplus license. NEW: And what's even better is that if you buy a Universal license and propack, you can have pro features on either MAC or windows! One of the nice changes is the Waveform from the v4Pro product line. This has spring markers which allow you to quickly zoom in, drag to adjust your in/out points and release to zoom back out. Because the springs are up at the top of the waveform, that made the old way of transferring(move the mouse up to the upper 1/3 of the waveform and click, hold, then drag) not very usable! For now there’s a new hand icon in the upper right of the waveform, use that to transfer the current sound to under your cursor where you can drag it to wherever you want in the target application. You can use your mouse wheel to zoom in and out, and if you hold the SHIFT key down while using the wheel, you can adjust the vertical zoom of the waveform. This allows you to visually expand the vertical height of the waveform to see quiet details. These button are continous playback, play/pause, reveal in finder/explorer, spot to daw(if supported), and then a general tools menu for items not used commonly. Not a ProPack feature, just something new… you can finally loop selection. Really useful for when you are looping over a sound and using plugins for Sound Design. Another new feature, not exclusive to the ProPack is the ability to quickly select databases. The next two buttons will expand the column widths to fill the selected item’s metadata, and toggle the row height from expanded to collapsed. The ability to not only embed but wrangle metadata on multiple fields is a key feature of v4.5pro. The popular Metadata Workflows pane has come to HDplus. 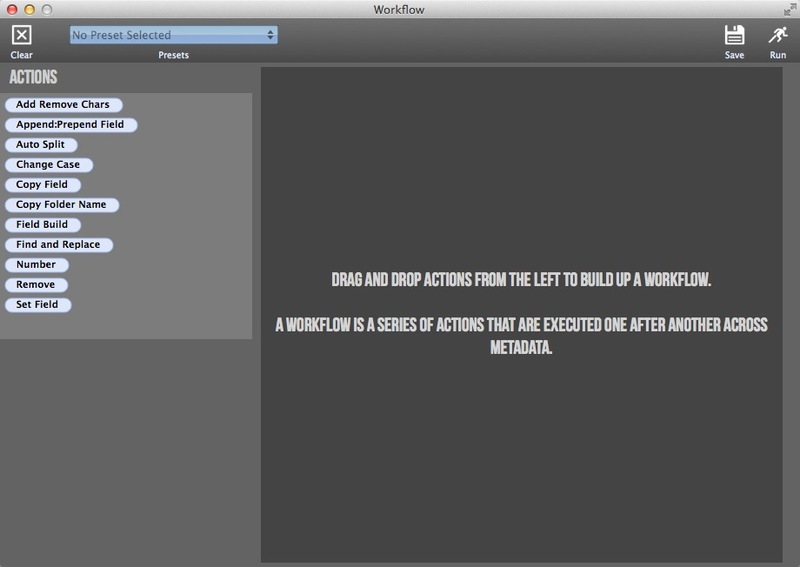 Accessible in the revised toolbar… workflows allow you to build up custom actions for batch metadata editing. This is how powerful it is on v4.5pro and it is now on HDplus ProPack: Metadata WorkFlows. Sound designers have long loved the v4.5pro VSTRack and it is available for ProPack HDplus users now. Instant Recall allows opening up a file processed through the HDplus VSTRack and recalling all the original parameters(original source file, region, pitch, plugins). You can transfer with plug-ins applied and evne go back and find the original file, reset all the processing parameters to make further changes....I know, magic. Drag a PNG or JPG file onto Soundminer with some files selected to assign that picture to the artwork field. 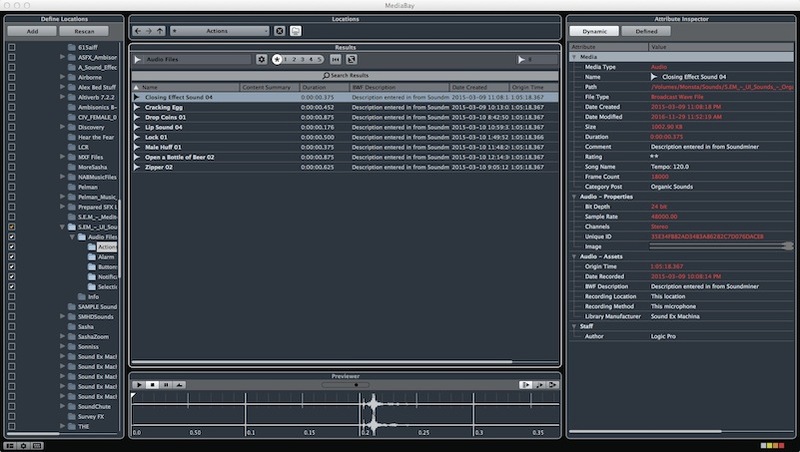 Steinberg MediaBay support… view and use metadata in Cubase or Nuendo.